Director Carol Roberts told me it was prompted by the New Hampshire State Library, but they made the idea their own, and the Board really appreciated this concrete breakdown. For example, the Return on Investment (ROI) states that the cost of renting a computer for an hour at Kinko’s is $12; the library hosted 3500 hours of computer use at a value of $42,000. 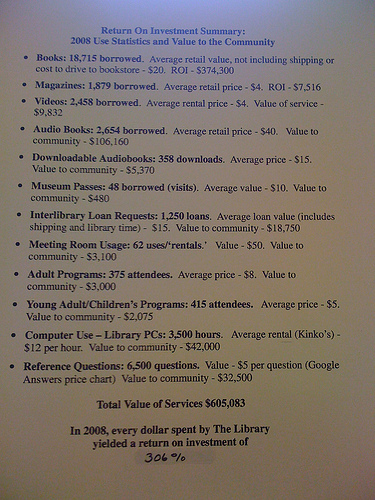 All of the values were totaled and the figure compared to the actual operating costs of the library. In 2008, the Wilton Public and Gregg Memorial Library provided a return on investment of 306%. This data was archived online in multiple formats, as well as displayed in the library and pictured in this post. 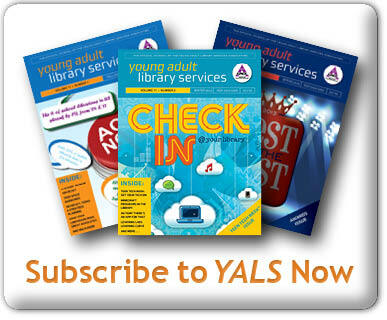 Some libraries lump YA services stats are lumped in with Children’s Services; at other libraries, YA is lumped in with adult services. One way to be a YA advocate is to start asked that these figures be clearly distinguished. 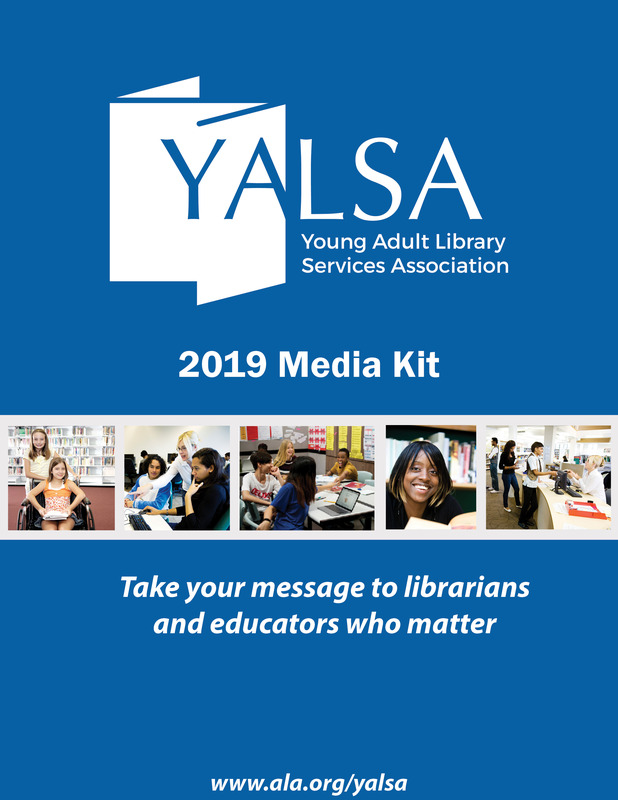 In 2006, Nanci Milone Hill championed this cause and talked with other YA librarians in Massachusetts to lobby for separate statistics on the Annual Report Information Survey (ARIS), part of the an annual, voluntary State Aid to Public Libraries program. The result? 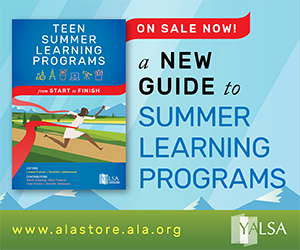 Beginning with FY ’09, The Institute of Museum and Library Services asked participating libraries to provide the number of Young Adult Programs and Young Adult Program Attendance at libraries across Massachusetts. 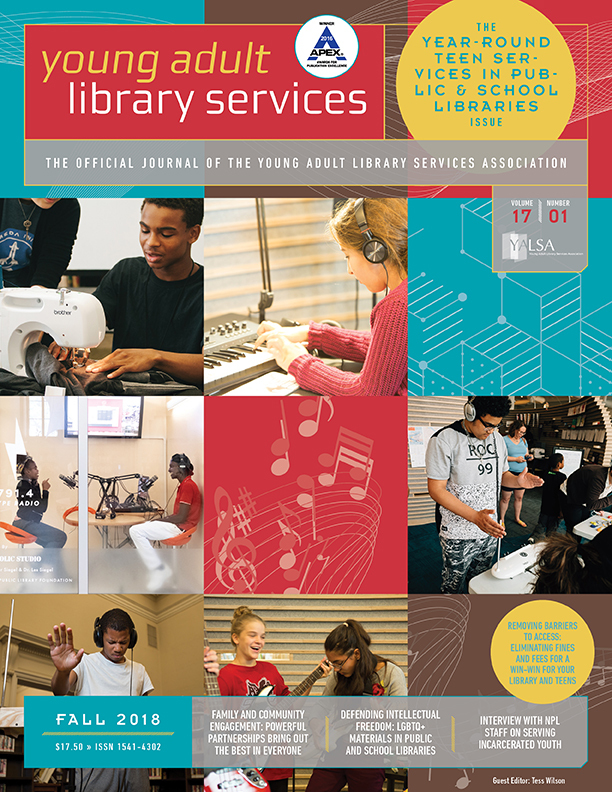 If your library doesn’t already do a value of service exercise as part of the annual report, you could write one for YA services, and pass it along to your supervisor or director to share with the Friends or the Board. We often say that teen services generate a lot of bang for your buck (Youth Services programs tend to cost $1-$2 a head, while programs for adult cost $10); creating an ROI report is a way to demonstrate it. The Orange County Library System in Florida has developed an ROI Calculator that allows you to put in local values to determine the Value of Your Library Services; the Massachusetts Library Association has a Value of Service Calculator, too. 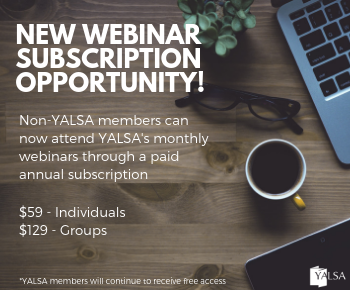 Give one a spin; it’s possible that if you are able to demonstrate to your key stakeholders just how little YA services actually costs, you can successful advocate for more resources.